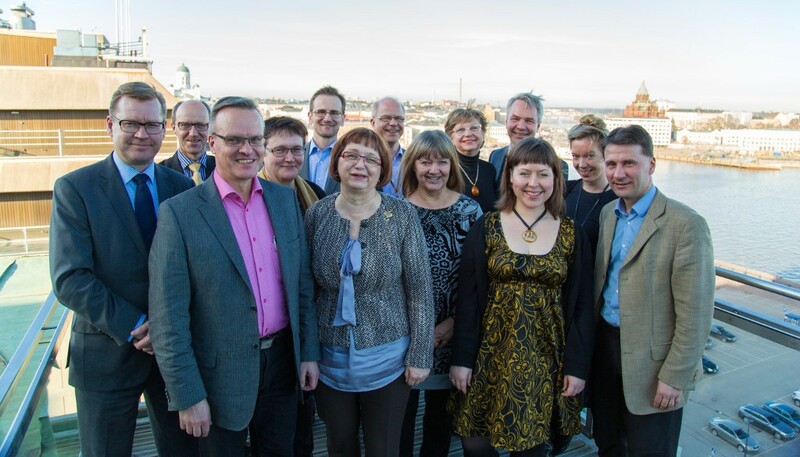 The Finn Church Aid Foundation is governed by an 11-member Board of Directors, with the support of a three-member working subcommittee. The Board has three deputy members. In 2014, the Board convened four times and the subcommittee held five email meetings and convened with the audit committee two times. Ritva Ohmeroluoma (chair), Tuomas Aho and Katri Korolainen. Executive Director Antti Pentikäinen represented Finn Church Aid in the following cooperation organisations: Department for Foreign Affairs, Evangelical Lutheran Church of Finland; Committee for Global Mission, Evangelical Lutheran Church of Finland; Red Nose Foundation; Orthodox Church Aid from Finland; Common Responsibility Campaign; Helsinki Diaconess Institute Foundation, University of Helsinki’s Board of Directors, UNDP Civil Society Advisory Committee’s Chair.